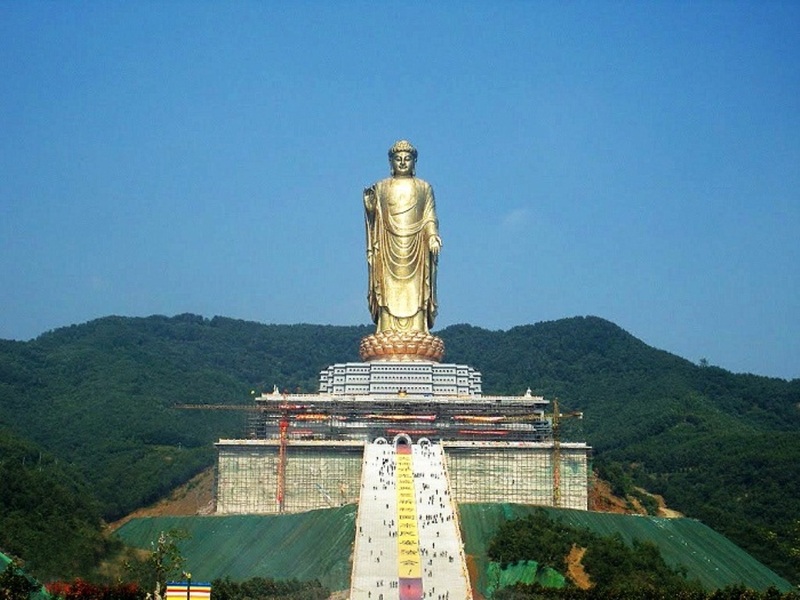 The Spring Temple Buddha is the tallest Buddha and the largest statue in the world. It is 128 meters i.e. 420 feet tall including the lotus throne of 20 meters (66 ft). It is placed on a pedestal/building, which is 25meters (82 ft) tall. The total height of the monument becomes 153 meters (502 ft). This huge monument depicts the Vairocana Buddha and is located in the Zhaocun township of Lushan County, Henan province in China. It was built in 2002. The Fountain Of Wealth in Singapore is the world’s largest fountain. It is located underground within Suntec City, the largest shopping mall in Singapore. Constructed in the year 1995, the fountain is a symbol of wealth and life. 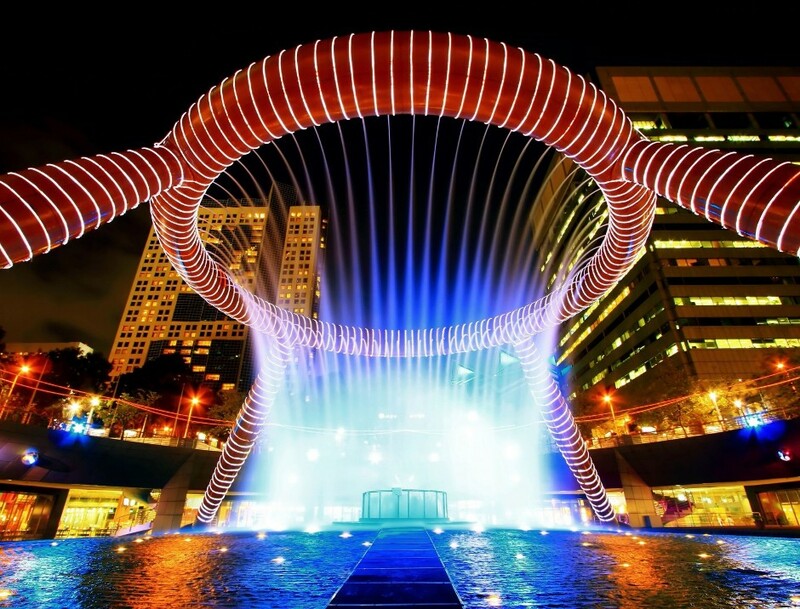 The fountain is made of silicon bronze and consists of a circular ring, which is 66 meters in circumference. The ring is supported on four large slanted columns. It occupies an area of 1683.07 square meters, with a height of 13.8m. The bronze ring of the fountain is designed based on the Hindu Mandala, meaning universe and is a symbolic representation of the oneness in spirit and unity and further symbolizes the equality and harmony of all races and religions in Singapore. The water in Chinese culture is a symbol of life and wealth and the inward flow of water symbolizes the retention of wealth. During some times in the day the fountain is turned off and the visitors walk around the mini fountain at the central base. It is believed that if you walk around three times by touching the water, you gain good luck. 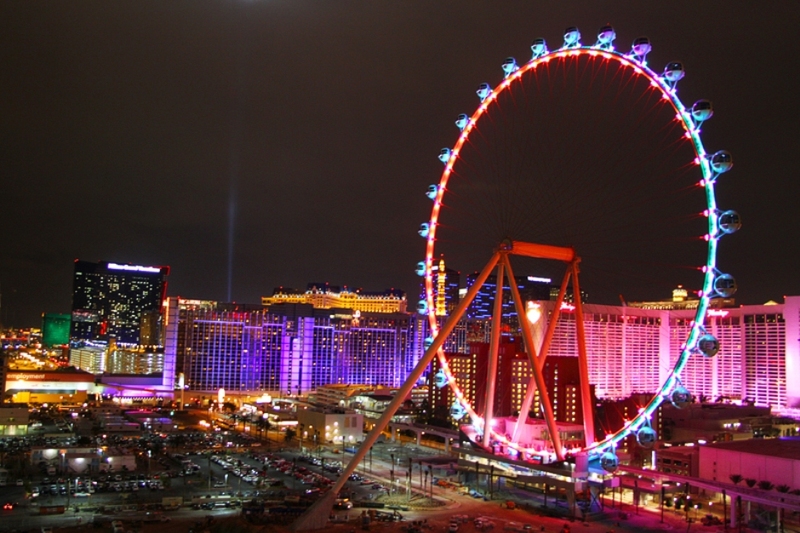 The High Roller, in Las Vegas, Nevada, US is the tallest Ferris wheel in the world. It is 167.6 meters (550 ft) tall. The wheel has 28 spherical cabins which can hold 40 people each. The full revolution takes 30 minutes. The construction of the wheel had started in 2011 and was opened to the public on March 31st, 2014. 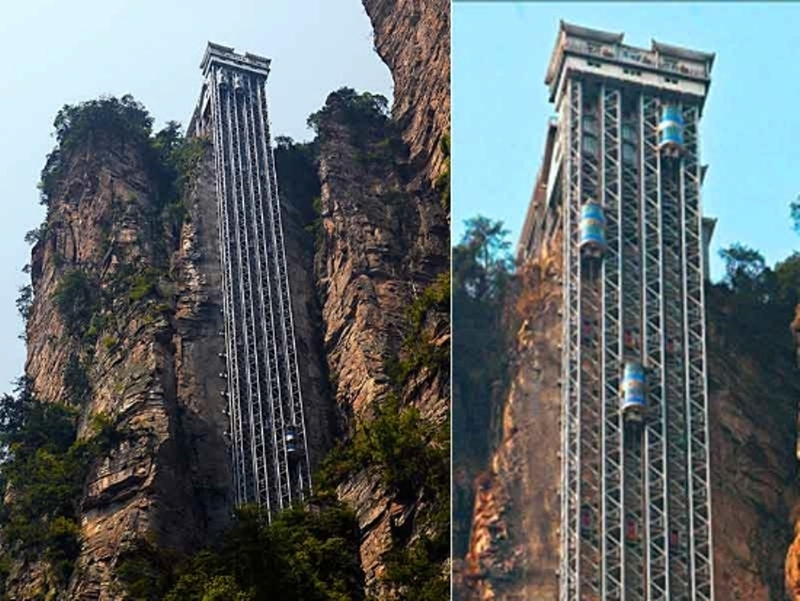 The Bailong Elevator in Zhangjiajie, China also known as the Hundred Dragon’s Elevator, is the world’s largest exterior elevator. It is over 1,000 feet tall. It carries tourists up the side of a massive sandstone column in a mountain range in China’s Hunan Province. The elevator is glass, affording 40 passengers at a time a dizzying view to the depths below. The work on the lift started in October 1999 and was completed in 2002. After it was built, it was declared as the world’s tallest sightseeing elevator and the fastest with biggest capacity. After it was opened in 2002, it was temporarily shut down for safety concerns. It was again started in 2003. The lift takes a minute to reach the top.